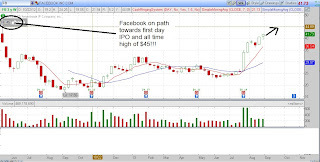 US Stock Tip: Facebook just don't care about Syria! As the Syria worry continues and with the weak US market recently, there is a company that reminds us that all these are not important. The most important fundamental ingredient to price growth is still the business! So says Facebook who today goes up $1 plus again. As I did mention, this may be a retirement portfolio stock. You should be part of this earnings growth story. 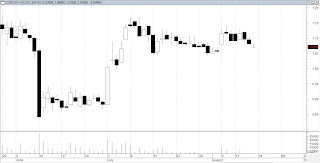 Singapore Stock Tip: Cordlife went beautifully according to our plan, has it potential still? Do you remembered we recommended this company when it was $1.07. I mentioned that in our article on the 19th August <Gameplan for the week>. We set a target of 1st and 2nd target price for it. 3 days ago, it actually gapped up and hit a high of $1.29, hits our 2nd resistance target before retracing to 1.175 lowest price yesterday. If you exited like what we mentioned, you would have make quite a handsome return! Congrats! So what now for this stock. I would like to offer my views again if you would like to hear part 2 of the story. I always believe every stock has a story to tell, and our job is to be a good listener. Ha.. I believe that this stock has not reached its end yet. The trend is beautiful and you should focus on this stock again and again for this quarter, especially after a beautiful earnings. It has a good earnings story and you should believe it... as long as market likes it. 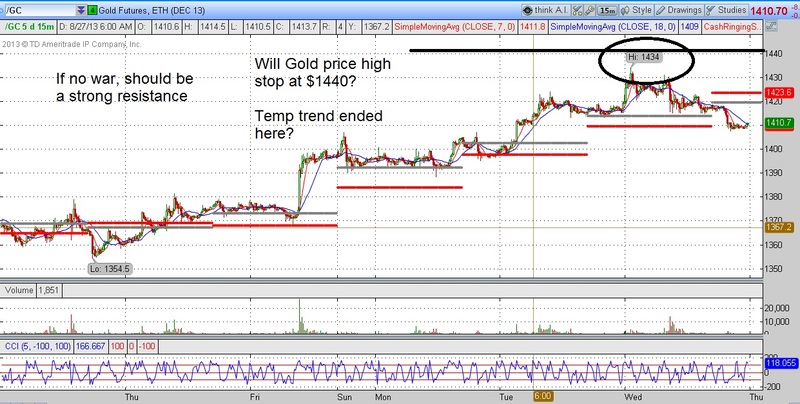 before eventually breaking $1.30 to head for $1.39-1.40, consolidate a while, then $1.47-$1.50. At 1.47-1.50, it then needs to rest for quite a long time. Yes, we think it is still good, and a good long term portfolio stock at $1.20 still. Do join our seminar next week to find out about the next stock we are targetting!!! It does seem like Syria and the Debt ceiling bombshell is hitting the US market confidence hard, just when it shows a bit of recovery last week. One problem adds to another. At first, it was QE tapering. 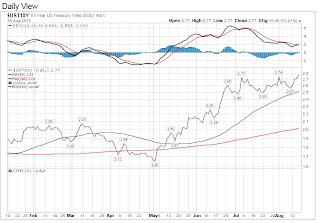 Then there is the treasury yield rise to 2 year high problem. Then today both Syria bomb uncertainty and debt ceiling issue is plaguing the headlines. With US having more questions and uncertainty, it does seem that local market will be affected. Today let us anticipate a selloff in Asia. Hopefully this Syria issue is solved without any brutality. Gameplan for the week: Stock Market tiptoeing forward this week? US Market Trend: Tiptoeing this week forward? 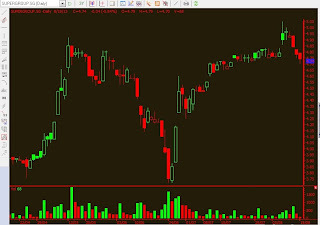 DOW did manage to finally breaks its 6 consecutive days slide, which certainly has caused Asia market to really tumble. So far, DOW has slide 5% from the top. Temporarily, we think this slide has halted since Wednesday. Thursday and Friday ended at least in the positive region, gaining 130 points in the last 2 sessions. We do think that DOW is poised for a short term rebound with the expectations of August Non farm being the MEGA report coming out next Friday. The FED officials seem to all agree that the QE tapering decision hinges on that Non farm report before its decision in the FOMC meeting on the 17th and 18th of September. This should make the market tipping on toes this week. No major panic or direction before the report should be the direction of Wallstreet. In fact, we do predict that this week might end on a positive note for the DOW rather than a panic like the 6 days drop. There are 2 talking points in Wallstreet recently. The first is of course the well debated QE tapering. It does seem like Wallstreet has accepted that tapering is a fact going to happen this year. The question is by how much. I foresee expectation to be priced into the market by the decision date on the 17th September! I think the extend of the tapering will be the focal point. A minor adjustment might in fact be a catalyst for the market going forward rather than a market panic. And of course, a major adjustment will cause the market to tumble too. Given Ben Bernanke's way of handling the stock market, I predict that if there is a taper, only a minor adjustment is on the cards this time round. Ben Bernanke is one who knows how to handle market expectations. I think for the first round of tapering, he won't vote for a market panic. A first time trial minor adjustment to let the market adjust to the tapering will be the perfect choice. After the market accepts and adapts, then a bigger 2nd round cut is on the way, and HOPEFULLY after Bernanke leaves. Bernanke then can hold his head high, leaving a legacy name as the FED chairman who brings the stock market from a low to an all time high. 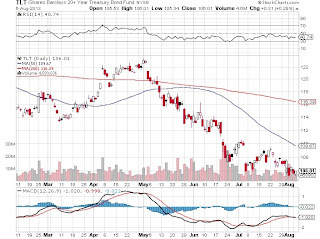 The second talking point is the 10 year treasury yield. Recently, we know that the yield rate is rising. It is rising to a 2 year high and is still climbing. This is causing a panic all across the world. 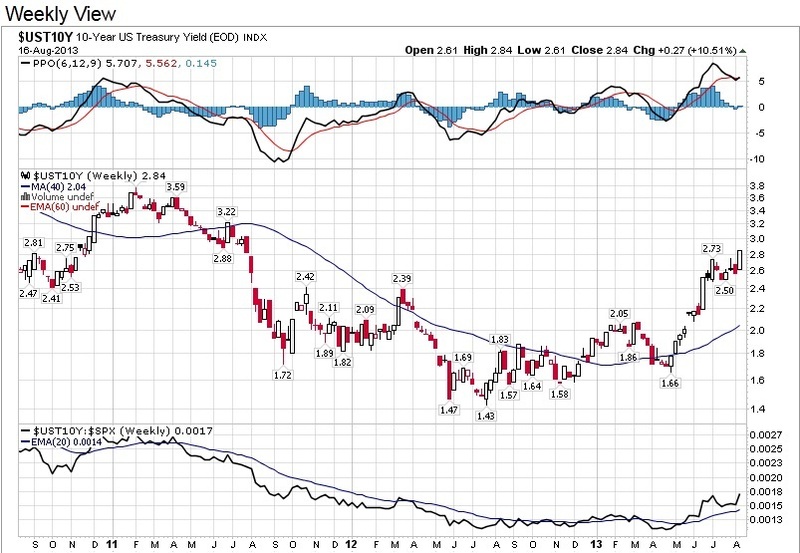 We think that from now on, the yield should be on a long term uptrend. US dollar should be on a long term uptrend. All major currencies should suffer. That is the reason why Asean recently has a currency panic. Ringgit, Thai Baht, Peso and Rupiah are all on a decline against the US dollars. They are especially vulnerable because of the larger account deficit. In fact a lot of the countries in the world are suffering. The Indian rupee and Aussie dollar have both fallen nearly 15 percent against the US dollar over the past three months, Indonesia's rupiah, the Brazilian real are down 10 percent, the Turkish lira over 5 percent. The world world is trying to adjust to a stronger US economy, a stronger US dollar and a rising interest rate. Not easy as USD has been weak for years, but I think we will and this currency panic will end. This process of adjustment needs time as we are accustomed to a weak US dollar and a low US interest rate environment. We do think that this currency panic should be over once traders accept this rising yield fact. It should. There is no need to panic given a good US economy. We do think that Singapore has reached a region of supports. 3000-3100 is always the region we hope to accumulate some singapore stocks. We mentioned it on radio recently too. Do not invest all at one go, but a portion of your funds. We expect a strong support at 3000. Anything below that is angbao to us. However picking stocks in this seemingly lifeless environment is never an easy task. Good technical and fundamental skillsets are needed. Do join us in our FREE seminar event to find out which are the sectors we are looking at. What may be the stronger stocks to choose from? Malaysia market recently slides on the fact that the Ringgit might be attacked again like 1997 crisis. We think it won't happen. Economy is good and the countries are economy is still on an upward trend. A little rise in interest rate is good for the economy. Once Malaysian traders accept this fact, the market should stabilise. And the fact that KLCI reach 1710 is an incentive for me to take a good look at the malaysian market. 1700 is always the support I am looking for. It is better to invest when KLCI is at 1700 rather than 1800, right? Do also look out to join our seminar in KL soon. Visit our blog at www.danielloh.com to know about our KL seminar on the 10 Sep 2013, 7pm. Will STI 3050 be the bottom? Is it a wonderful chance to buy stocks now??? Nasdaq resumes trading in US after a technical glitch to end beautifully, Asian indices should stabilise these few days! Nasdaq and the DOW performed quite well today. Today is the day I am looking for. I know that all traders in Asia seem to be in a panic recently with panics happening to Thailand or Indonesia or Philippines. STI and KLCI is not spared. But I think these few days you may see a rebound, or at least a halt to the drop. 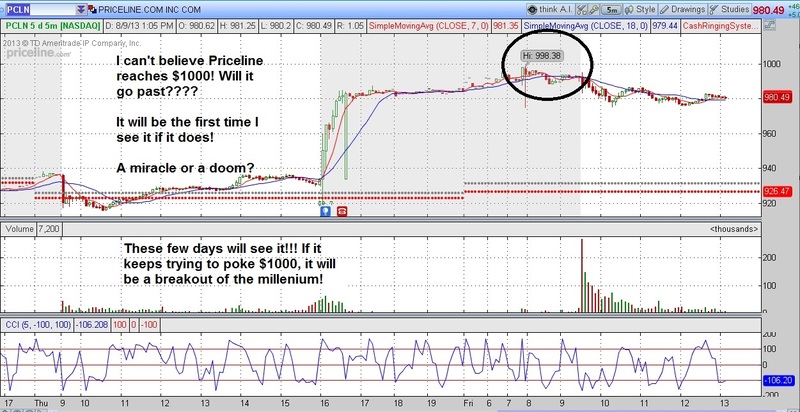 Like what I always said, STI 3000-3100 is the region I will be looking at picking some stocks. Today STI reached that point. 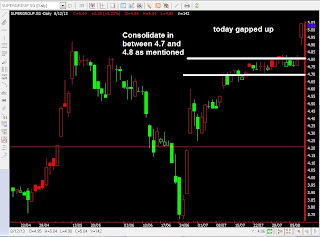 All banks stocks gapped down, but ended up well. This shows lifeline in the banks. We hope that you have done your homework, as we think that you, like us may try to test water by investing in some stocks, even the sold down index stocks. Indices may still drop, but we think not much in the short term. 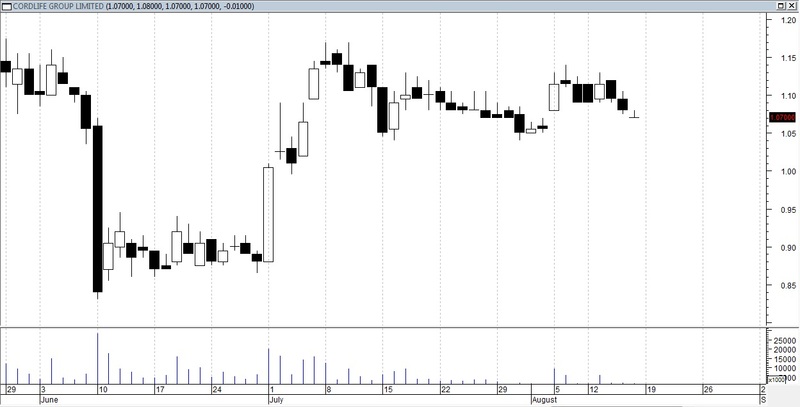 STI's lowest we think should be 2950-3000. Today it reached bottom at around 3050, almost there. Anything below 3000 should be a bargain. Nikkei futures is also up with around 300 points. 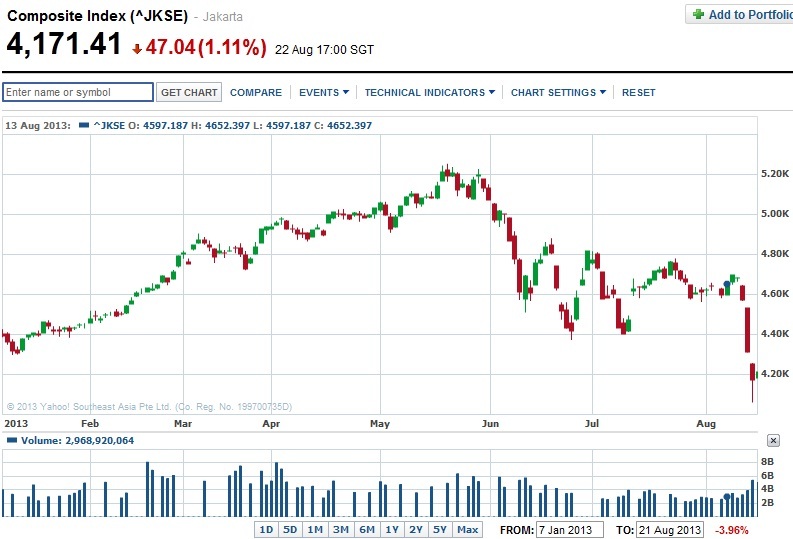 Jakarta index we think might have reached a bottom. We expect Jakarta strong support to be 4000. Today it is at 4170. 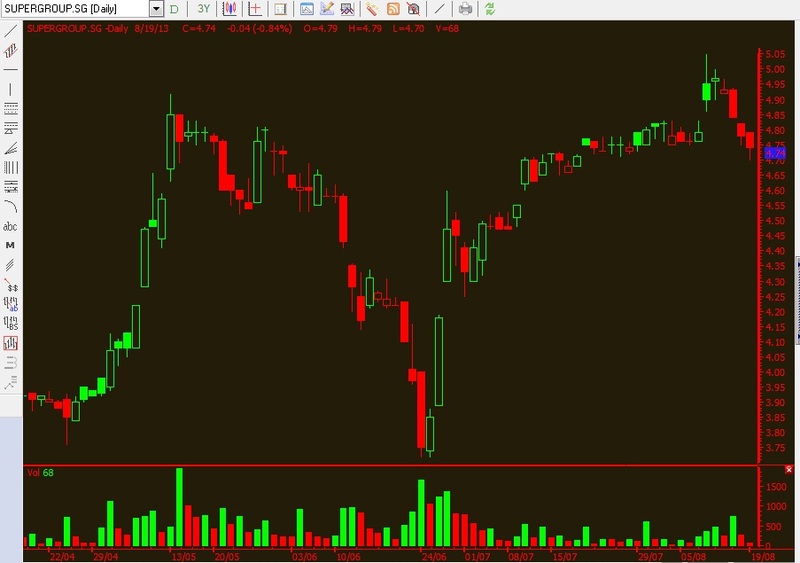 We are perhaps against all analysts and economist in the Jakarta market now with this stand just like when Nikkei crashes a few months back! We did said Nikkei has reached a bottom at 12800 when all thought it would crash further. But having said that, money management is key here. What I suggest is break out your money into 3 portions. ie. 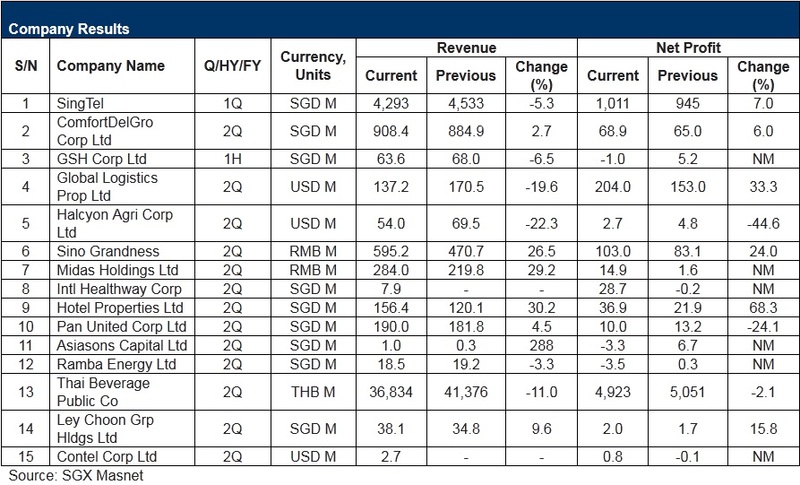 If you intend to buy OCBC with $30000 investment, buy with $10k first. Prepare to accumulate again when it drops by 25%. The 3rd time is always when it drops by half, which we think is impossible to reach in a bull market. I am looking for a pullback in the DOW after the FED minutes to save the fall. But it didn't. 6 days losing streak....the longest for this year. The DOW has now fallen about 4.5% from the high. When the FED minutes is released at 2pm, DOW seems to go back up a bit. But now before closing, it comes back down to end 100 points down. 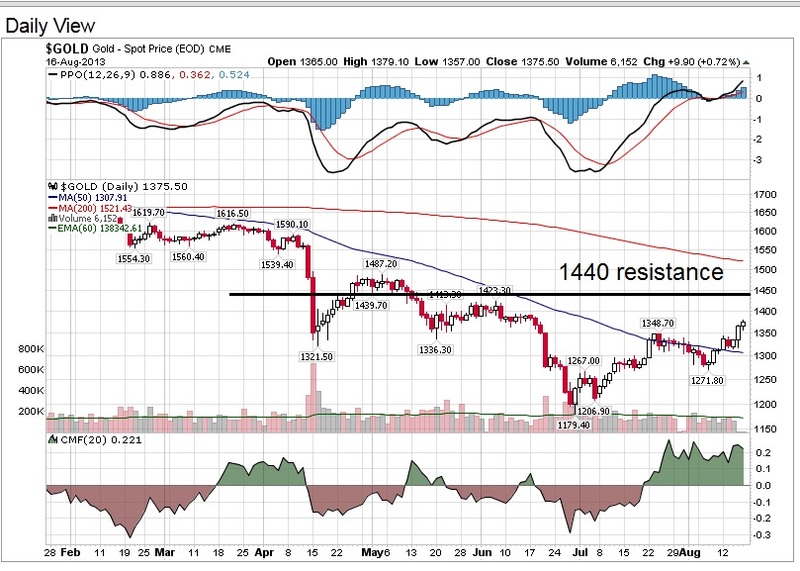 Let us see if the Jackson Hold meeting starting 2moro gives any indication of a reversal. A triple digit increase would gives the push the market needed. Having said that, STI has a support region around 3000-3100. The last low is around 3060. So I am looking at a strong support around that region. But all things do depend on US market. Let us be a bit patient. Time to do your homework and see which are the stocks to look at. I will give my views of some singapore stocks at the next article. 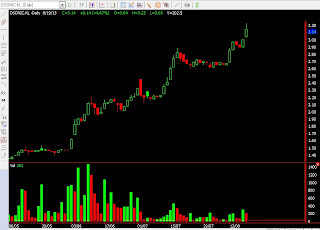 ONLY this can happen to KL Stocks! 4 times in 1 month! This stock follows our projection very accurately. 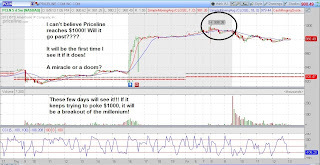 We did mention that our 2nd target on supergroup is $4.95-$5. 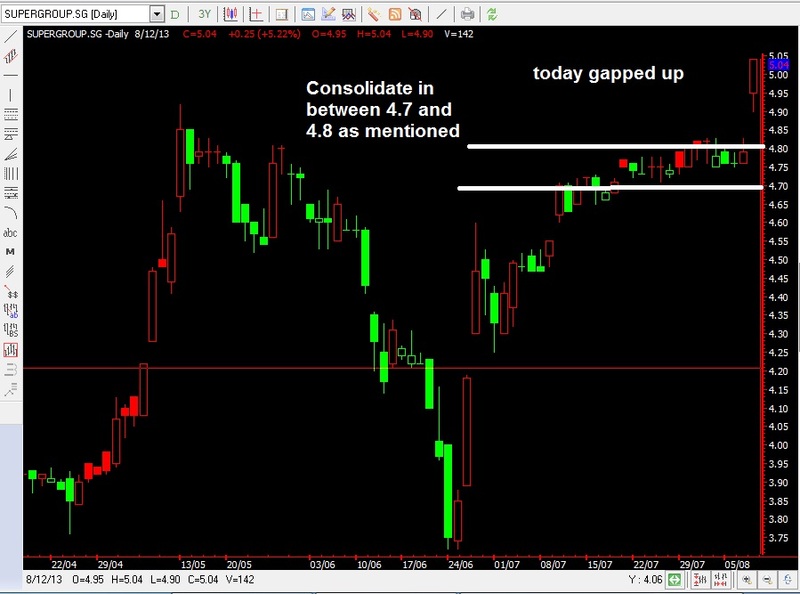 After it broke out of $5, we did mention to put a stop at $4.97, just in case it drops back. It indeed drops back. Now it is at $4.74. 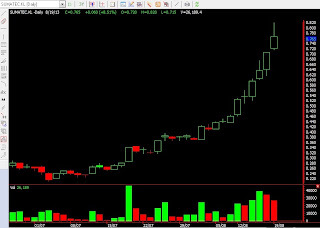 As a trader, we feel not only should we learn about entry, we should also learn exit. Through the years, I seem to have developed an intuition towards when might a stock reach a peak. I have come out with a system called "The Law of Gravity of Price". It has served me well and it works wonders with this stock Supergroup. Do take note that the targetted prices that we set on some of our recommendations are carefully picked and follow our LAW. There are basically 3 fundamentals that are important in TA. Throw away indicators. Once you learn this 3 things, then you may go deeper into indicators. Btw, coming back to Supergroup, we feel it just an excellent level of support based on “The Law of Gravity of Price". Currently, it might travel in between $4.70 to $4.80, might ding dong for a while. This Zone is the Accumulation Zone for the stock! A breakout off $4.80 should be a confirmation of higher heights. $4.80 is the point to watch out for! I am aiming for $4.97-$5 should it do so! But do take note that a breakdown of $4.70 means trouble! Avoid this stock if it breaks down of $4.70. Remember that we mentioned from now on, we need to focus on this chart. 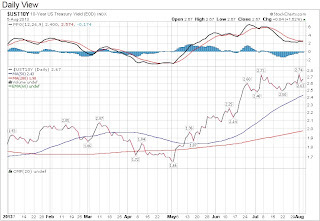 The drop of 220 points yesterday is caused by this rising yield of the 10 year treasury note, also is regarded as the long term interest rate. 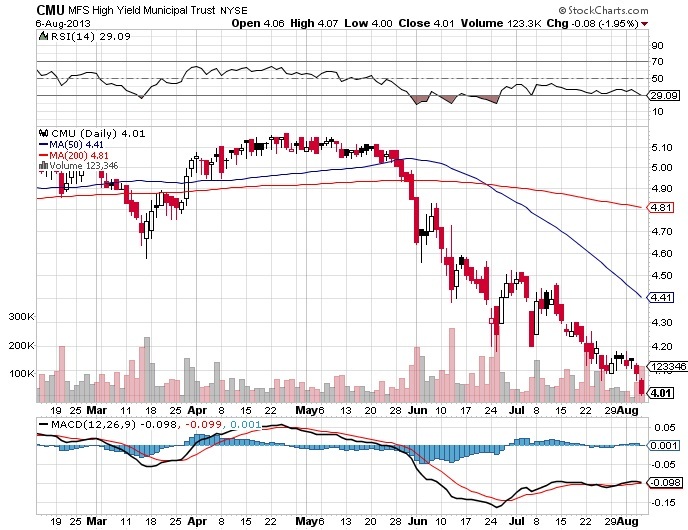 Do pay attention to it as the coming months can be volatile if yield continue to rise... 2.77% now. This happens when we are still adjusting to a rising interest rate. Our Market Sentiment indicator, an indicator that tracks all the 9 sectors in US is showing us that Technology and Energy sectors had turned bearish yesterday. It is a call for us to be careful as Tech and Energy are the major sectors of US Economy. It may be time to take some profits off the table if you are a short or mid term investor. Yesterday the drop of 226 points is hard. I never like DOW dropping 100 points and ending the day at its lowest. Yesterday is also the second day DOW drops a triple digit figure. OUCH! Triple digit drop indicates waning confidence. Let us not be too confident of the market now, especially when US is showing some weariness now. 1) Don't plunge all of your hard earn savings inside to buy some stocks that you think is cheap. Small lots are preferred if you want. 3) For the experienced, maintaining a hedging position helps, meaning shorting some counters. 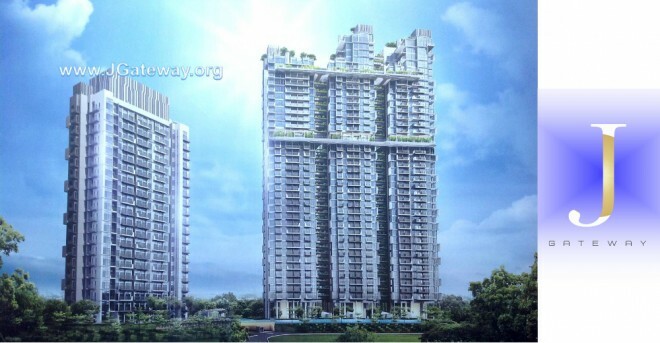 Do you wish to know HOW the Property Market will be this year and next? Do you wish to know HOW to spot a Good property? 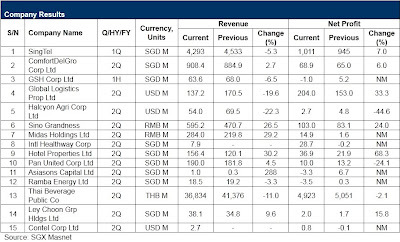 Did you remembered we issued a prediction of Apple turnaround on 25th July? 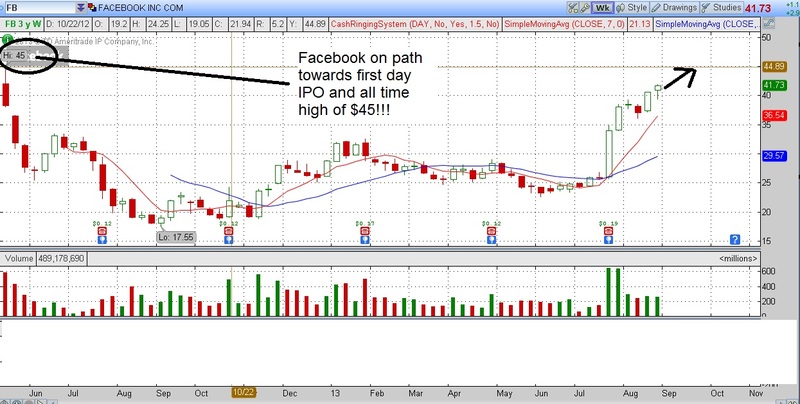 At that time the price is $444, one day after a good earnings. Now Apple is $493 in after market hours. 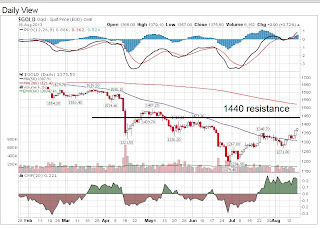 It is poised to reach our target of $495-$500 today, where there may be a short term resistance. This speed of this Apple run has amazed me too. 2 news that buzz around this stock recently. One is the product launch of its product on 10 Sep 2013! The other is the Big Name of Wallstreet this year, Hedge Fund manager Carl Icahn acquiring a "large position" in Apple shares, $2billion. 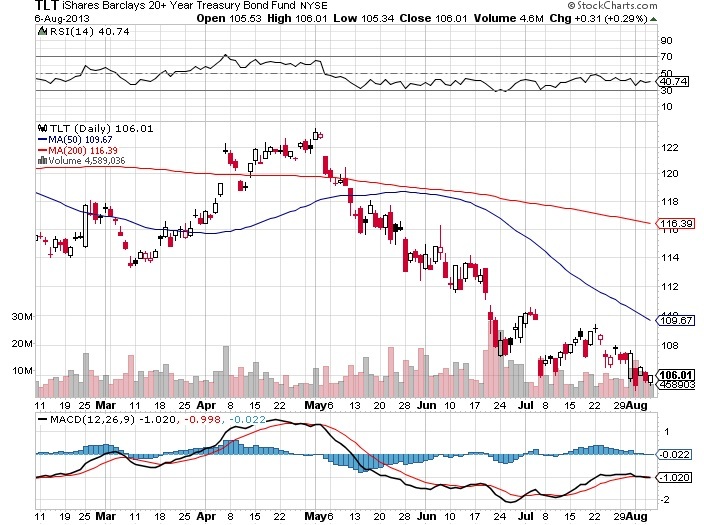 The news came out yesterday, and swiftly afterwhich, I watched Apple shares rocketed $15 to the close. Congrats to those that may have followed our guidance! If you are short term trader, do watch out for the resistance at $500. But having said that, this run might continue till 10 Sep where anticipation of the next Apple product is great. 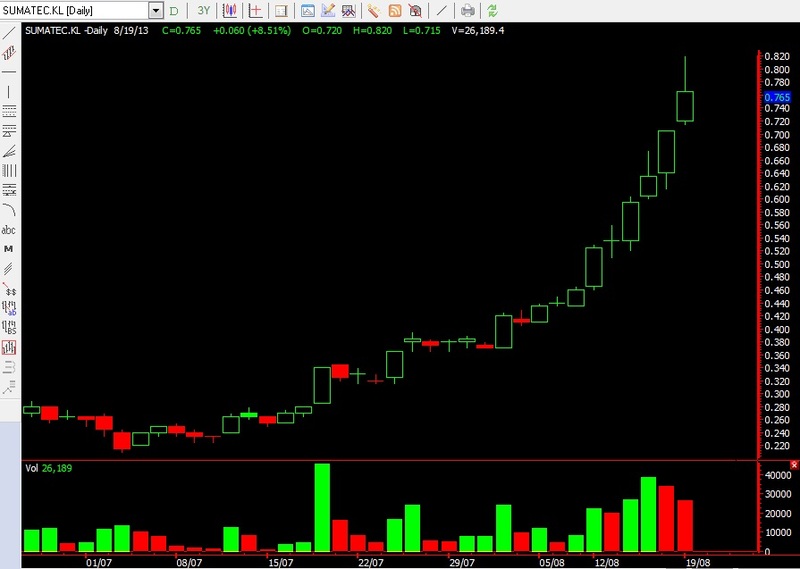 If you are playing with product launch, do remember to sell before 10 Sep, for a short term play. For those that are long term holders of Apple (1-2years), we have raised our target to $600 betting on a Carl Icahn Herbalife-liked revival! 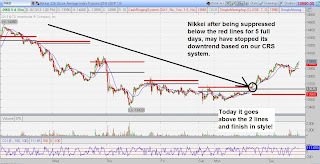 Nikkei temporary trend down may have halted today, may spark a run these few days in Asia? Somehow I begin to see Asia indices following Nikkei very closely. We have an excellent day in Nikkei today, having risen 345 points in the futures now. Hence Asia rises today, with Hang Seng increasing 270 points, STI 12 points, KLCI 10 points. 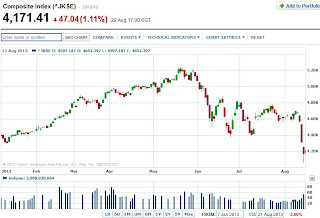 We anticipate the drop in Nikkei for these past 5 days to stop these few days. In fact I think with today's turnaround, there is a chance of a short term rebound. 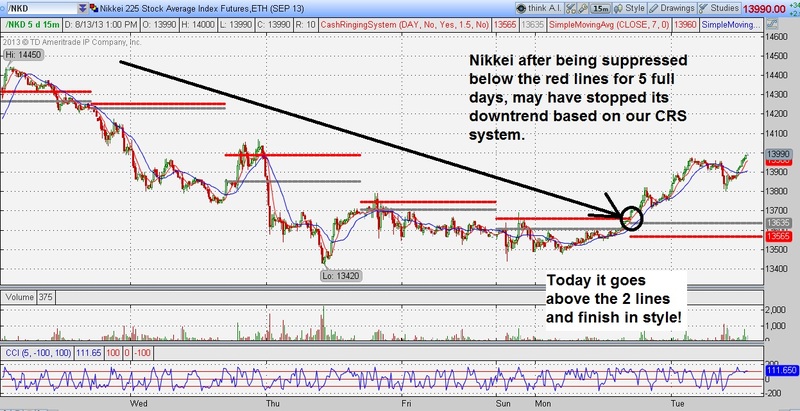 Check our chart on Nikkei based on our Cash Ringing System (CRS). It shows a halt to the downtrend. Let us see if it will cause STI to once again try to test the 3280-3300 resistance area, and whether KLCI will break above 1800 again. So far, a short term rebound seems very likely. We did mentioned in our previous article covering this stock that we need to pay attention to the momentum of the stock after it drops. The momentum will tell us how strong the stock is. 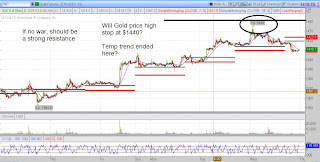 We mentioned that we set the 2nd target price of $2.45-$2.50 for short to mid term play. Today it reached our target and we are liquidating our position as we feel there might be a short term resistance in this region. Once it consolidates, we shall see again. If it goes up, let it be. For those who have not entered, you are late on the bus, avoid going in. Last Tuesday, we did mentioned longing Aussie dollars in FM95.8 radio station. Not long before talking on air, we issued this article for all to take notice on Aussie dollars. 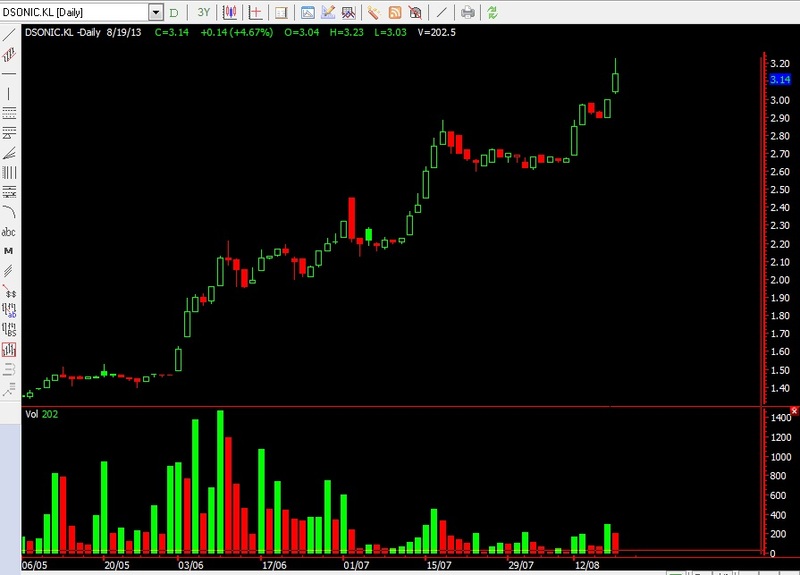 When we posted, we mentioned that Aussie short term trend may have changed based on our "Cash Ringing System" indicator (CRS). 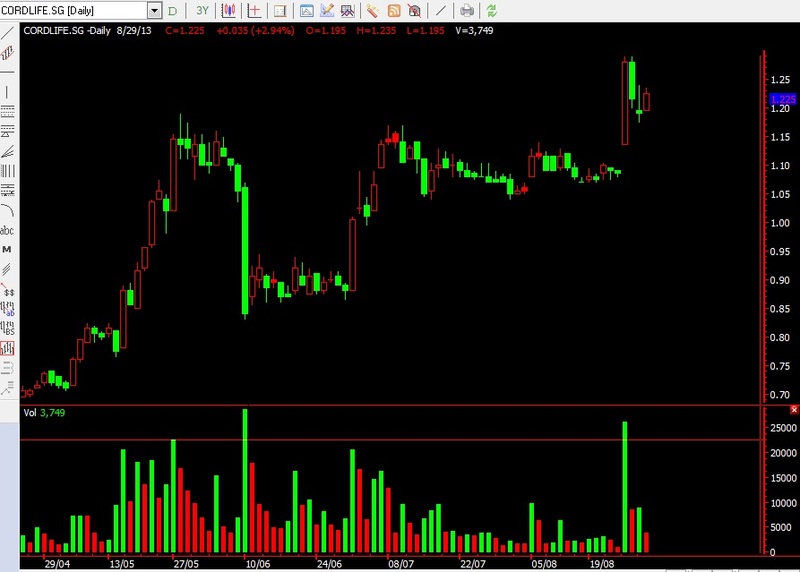 The futures at that time is trading at 0.8960. Now Aussie dollar is trading at 0.9200 highest reached today. 200 pips of paper profit now. 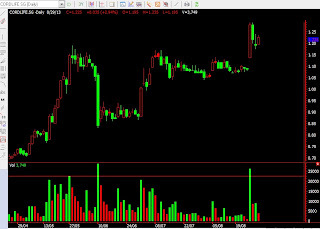 So far we continue to hold the position, and putting a stop loss at 0.9100. As Aussie dollar is a trending currency, let it hopefully trend. For those who have not entered, our advise is not to now. 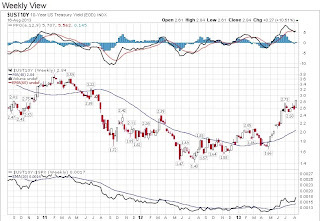 It is important from now on to look closely at the 10 year US treasury yield chart, the long term interest rate chart. 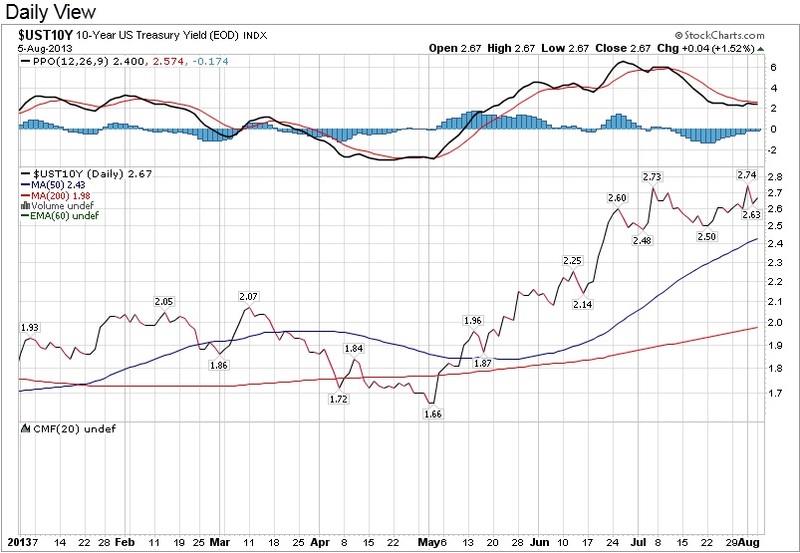 Yield has been rising since May and has reached a 2 year high. Wallstreet knows that long term interest rate is on a definite rise. So is mortgage rate. Mortgages have gone from 3.5 percent to about 4.5 percent in the past month. It is a known fact that long term interest rate is rising. Mortgage from now on will rise. 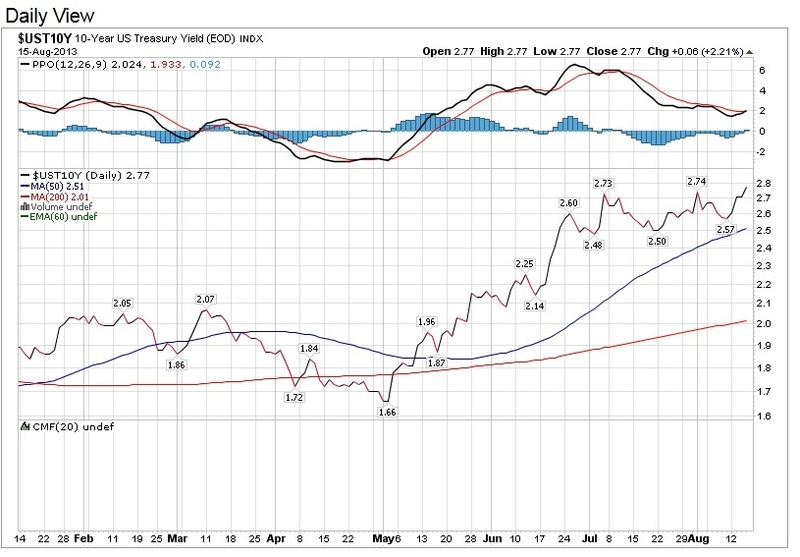 If news of the tapering comes out, the yield will rise somemore. This is the reason why the bond price has been dropping. Although Ben Bernanke told us that short term interest rate, the FED Funds rate is still kept at 0-0.25%, sooner or later it will start to rise. With interest rate rise, more and mroe people might not want to speculate anymore. There is the worry that people will put their money inside the banks should interest rate starts to rise as economy gets better. "This will be the chart to look at that is going to change the investment habits of investors" says Mr Hu Li Yang, Asian Leading Investment Guru. In Singapore, we have also seen the government trying to prevent us from borrowing too much in a rising interest rate environment. Be prepared for a rising interest rate FROM NOW ON! Shorting the bond ETF (symbol: TLT) or shorting the high yield funds like (MFS High Yield Municiple Trust symbol: CMU) listed in US.